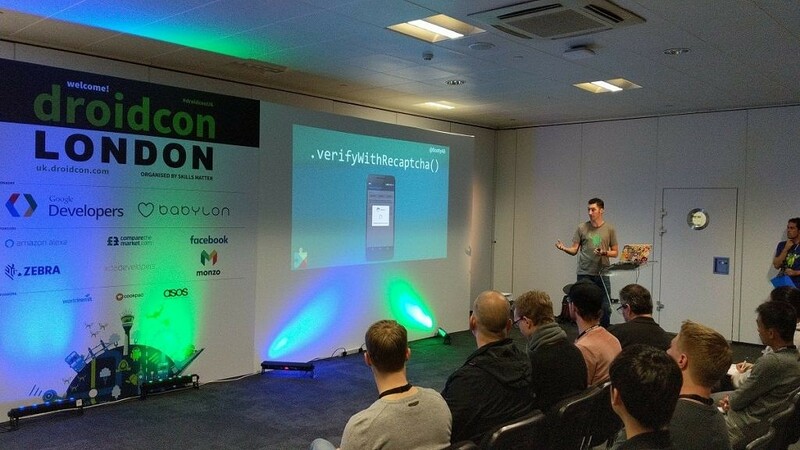 Day one of Droidcon UK has passed, and with it came a number of brilliant talks, along with a lot of great people who came to our booth. Sponsors and attendees from across the world are here at the event, all having their own interest in a certain aspect of technology related to Android. We checked out some talks about the history of Android, security changes in Android Oreo, and indie app development, presented by XDA Labs Lead Developer Jeff Corcoran! XDA TV also interviewed some of the speakers and sponsors, including Britt Barak who gave a talk about Android Rasterization and presenting graphics correctly in order to eliminate the “jank” common in many applications. A talk presented by Chet Haase and Romaine Guy, we first conducted a perfectly executed Mexican wave to get things going. We learned in depth about the history of Android since one of the original Android m3 versions. They explained to us that originally when Android was announced as part of the Open Handset Alliance, it was expected to be vaporware, with Steve Balmer saying “Their efforts are just words on paper.” Three days after this quote, and a week after the original press release, the M3 SDK was released along with an emulator. We learned that while Android’s first public name was Cupcake, Android originally was named after the robots Astroboy and Bender, but robot names were harder to find, so naturally, the next closest thing was dessert names. Not only did things seem quite disorganized at the beginning, but Google had 5 messaging applications on their devices at one point. “You know how at Google we always love to make new messaging applications, it’s kind of a hobby of ours” is how Chet described it. It definitely describes the situation at the time. Later, we were told that Ice Cream Sandwich actually had many internal bug reports filed because of the lock screen clock, which had the hour bolded but not the minutes. At one point at Google it was a game to see “how many times you could see the time on one screen”. They then talked in general about the various optimisations over the year, including Project Butter which turned out to be a marketing term, and Project Svelte. From 190 million users at Ice Cream Sandwich to 2 billion 30-day active users on Android at the time of Android Oreo’s release, Android has grown a lot. Next up was a talk on the various changes in Android security in the last 12 months, or the changes since Android Nougat. 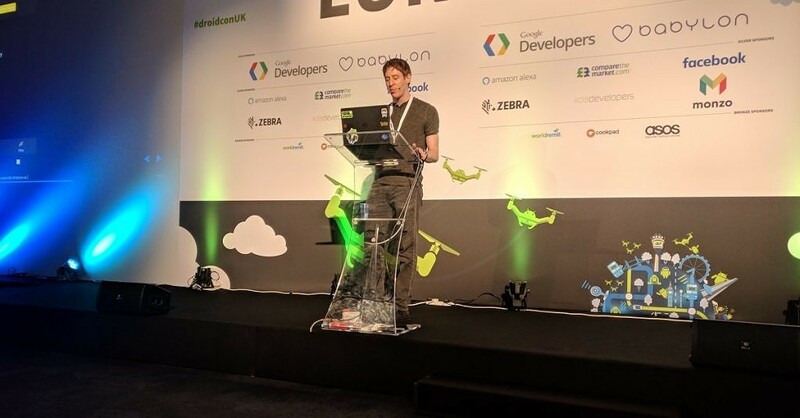 Stressing the importance of security, Scott Alexander-Bown led us through the latest changes to Android’s SafetyNet, Google Play Services and some of the kernel hardening which has taken place over the last year. We learned about the latest features of Android SafetyNet, including what developers can utilize it for. Along with this. keeping your signing keys safe was also stressed. When Google released the Google Authenticator, they lost the signing keys and had to pull the application and re-upload it again. This is because Android won’t upgrade a package if the signing key differs from the previous version of the application. One of the biggest take-home messages for me was the fact that even Google screws up sometimes. Presented by our very own Jeff Corcoran of XDA Labs, he gave a lightning talk on what to do as an independent app developer if you are struggling to either find designers or users. He gave valuable tips including going to UX meetups, being a big fish in a small pond, and releasing on other, smaller platforms like XDA Labs. A shorter talk, but filled with lots of vital information for the budding app developer. So that’s all! 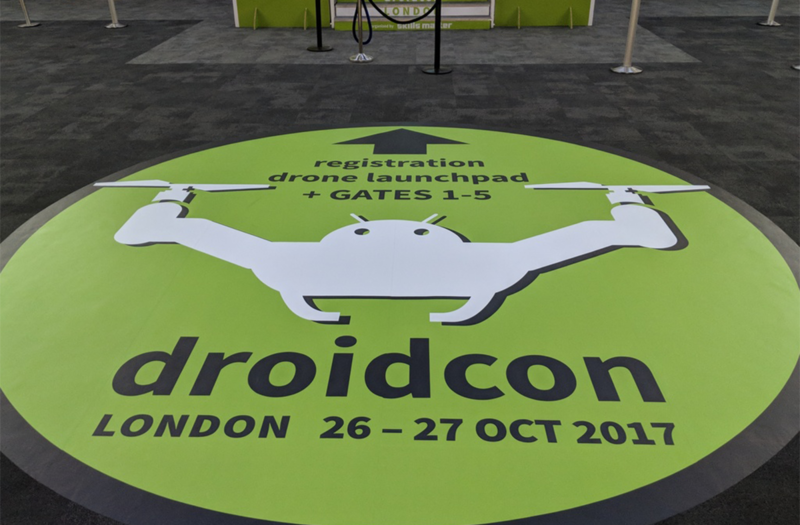 We have a Droidcon UK recap video done by XDA TV, so check that out below, and stay tuned for the recap of day 2!